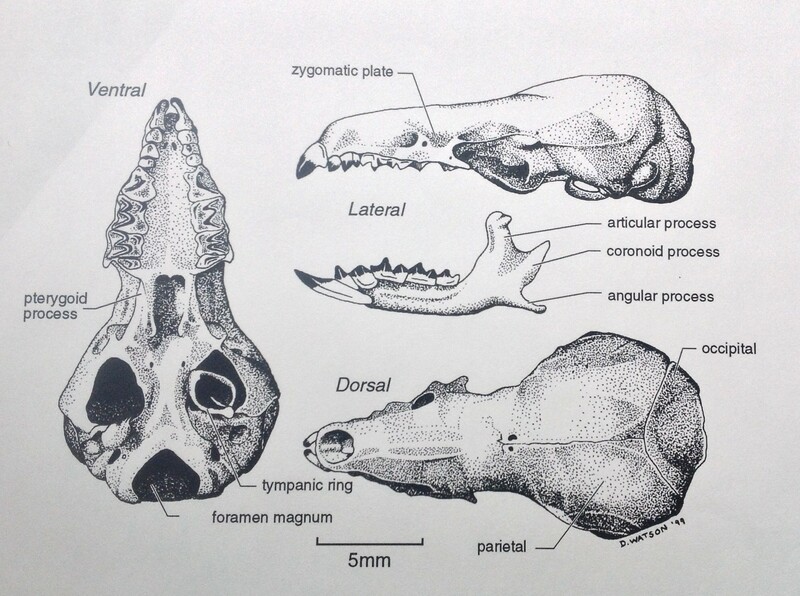 While based at The University of Kansas, I learned the art of scientific illustration from Linda Trueb, including both computer-based methods and traditional pen and ink drawing. 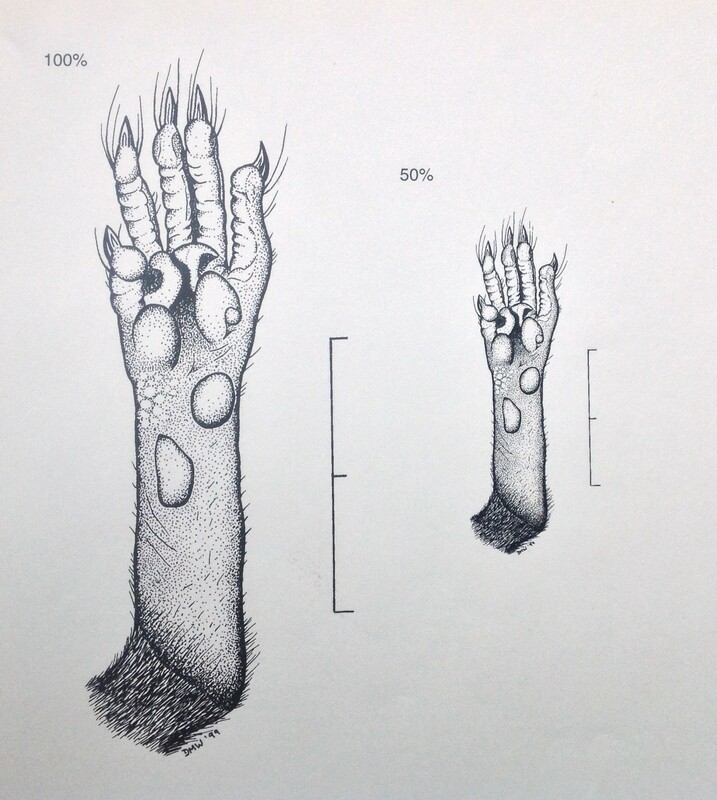 The two images below were drawn using pen and ink using a camera lucida to ensure all details depicted were anatomically correct. They were used in the formal description of a new species of shrew from Guatemala.